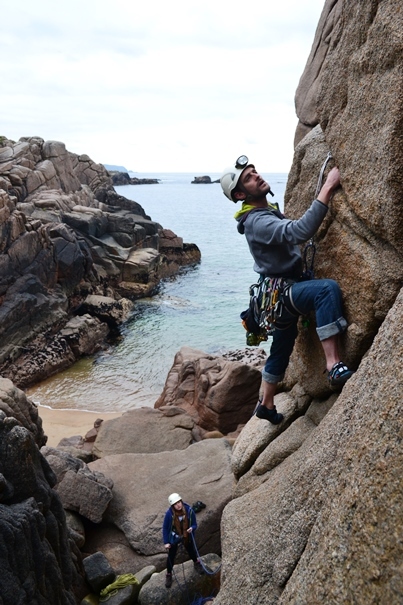 If you’re interested in rock climbing, Unique Ascent specialises in providing exceptional outdoor adventure holidays, outdoor activities and mountain training courses with a difference. 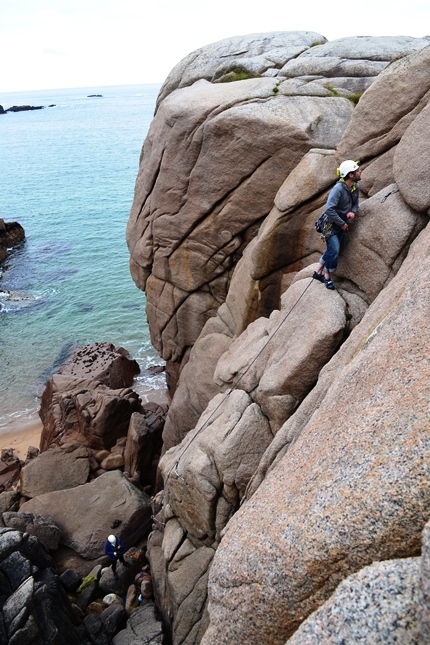 The climbing on Cruit is on the many granite sea cliffs located around the island. The immaculate rock is characterised by it’s mixture of coarse granite crystals and it’s immaculate smoothness where the sea has scoured it over the centuries. In the main the cliffs are 10m high with the largest cliffs at 20m high being found in “The Albatros Zawn” area. 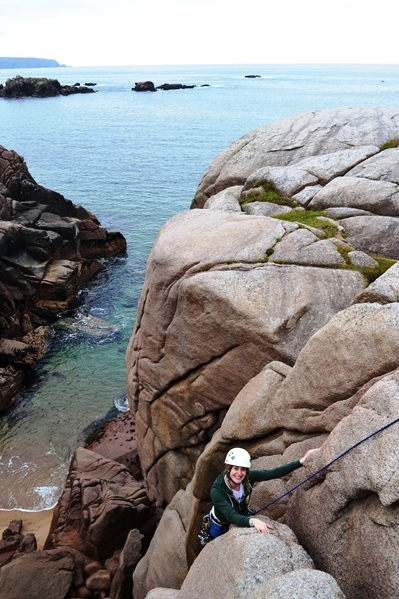 Climbing is possible at all tide states and in all sea conditions as the multitude of cliffs on the island have many orientations allowing climbing on lee cliffs whilst other are being battered by the monsterous seas that frequently roll onto the island. Access to Cruit could not be easier as it is joined to mainland Donegal by a wee single track bridge joining the island to the R259, Annagry to Dungloe road. Once on Cruit the access to the cliffs is even easier as a wee single track road runs the length of the island coming within 10 minutes walking distance from even the most “remote” of the climbing locations on the island.